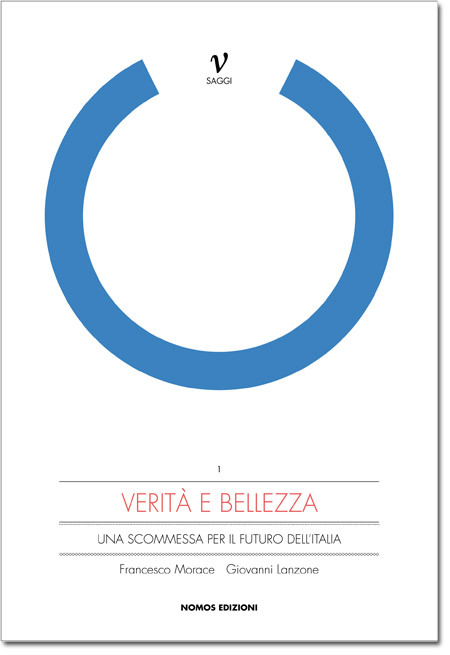 So begins Truth and Beauty – A bet on the future of Italy, a book by Francesco Morace and Giovanni Lanzone, the first of an “Essay” series by Nomos Edizioni, inspired by the need to open a discussion on the future of the country. To openly state that which many know and act accordingly for the good of our community, in the threatening confusion that surrounds us, is an inescapable duty, as well as civil. Some people feel that Italy is touching the bottom. Morace and Lanzone are convinced that from the depths it is possible to rise again to this exiting challenge, which we have to win at all costs. Adopting as a value-driver the Renaissance. This essay is the necessary consequence of a job already under way: Truth and Beauty comes about from the exercise of leading and giving life to an extraordinary Association – The Renaissance Link – that aims to re-launch the qualities and the talents of companies and territories of our country. The many members and friends of this group have helped the authors to reflect on the urgent need for a revival linked to a initiatory, symbolic and in some respects magical journey, that crosses space and time; an expressly “renaissance” path, conducted in the light of the sun, without ambiguity, on the thread of beauty and truth. A beauty that the world is crying out for, a Truth for which there is a desperate need. The title expresses two simple but suggestive hypostasis; the first is that there is no possible future without that passion for beauty, that same beauty that has allowed Italy – in its magic moments – to give the best of itself. The second is that the word truth does not at this moment represent the absolute ideal that we need to find, but rather a need to – simply – tell the truth about oneself and others.